In 1973, Y'Tin dreams of becoming an elephant handler. His village in the middle of South Vietnam is semi-protected from war by the jungle, but eventually, war finds Y'Tin. Relying on advice from his father, and trusting his relationship with Lady, the elephant he cares for, Y'Tin struggles to do the right thing. How can you follow your dreams when you are out of options? 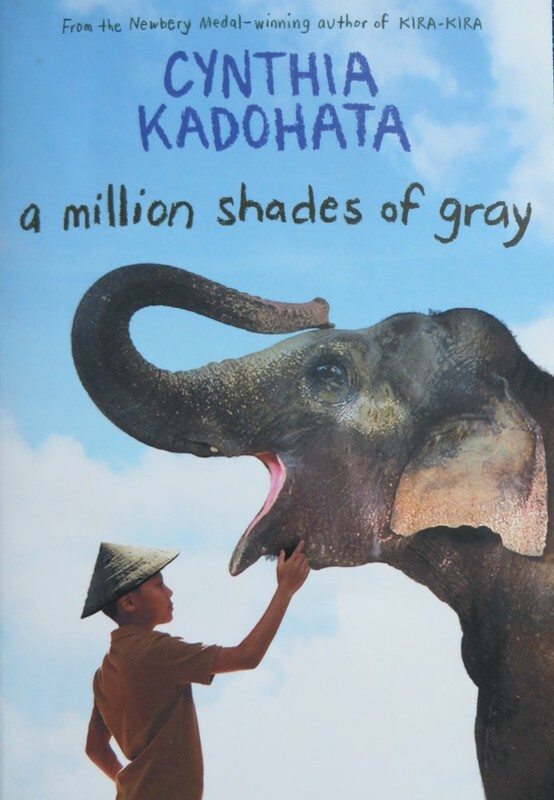 This book is not a feel-good story about a boy's relationship with an elephant, but an exploration of how people behave when horrible things happen around them. The first chapters are not as compelling as the middle and later chapters, and the plot is likely to disappoint readers: although it is well-crafted, it is frustrating that characters don't always behave with honor or kindness. Although the book includes disturbing war-time content, it is full of rich discussion opportunities. "A Million Shades of Gray quote"